The Consortium of LGBT Higher Education Resource Professionals is participating for the first time in Give OUT Day, the only national day of giving for the LGBTQ community. Our goal this year is $7,500 to help support pipeline initiatives and our summer institute collaboration with NBJC at North Carolina Central University where our family needs extra support in this climate. We know we can do it, but only with your help! Give OUT Day is Thursday, but did you know that you can schedule your donation right now? You can! Please donate on the Consortium’s Give OUT Day page today. 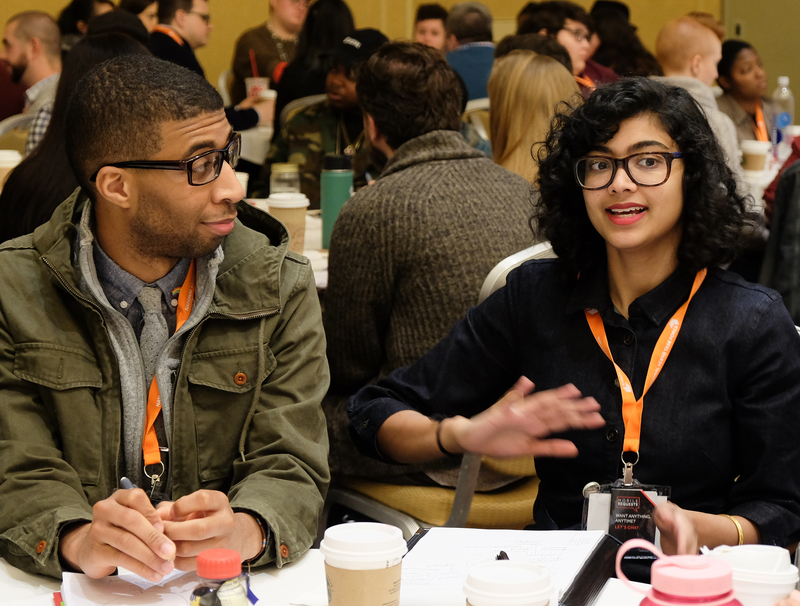 Your gift helps us continue to fight for better campus climate, trans and non-binary inclusion in Title IX, restroom justice, elevating trans and queer voices of color, supporting staff in the profession, and more. Thank you again for believing in us. Help the Consortium meet our $7,500 goal by donating today. And tell your friends and colleagues about our work and encourage them to donate. Please know that every donation will make a huge impact for our pipeline work and institute work at this crucial political moment. Thank you again for your support of our work. We couldn’t do it without you. P.S. Want to make an even bigger impact for the Consortium this Give OUT Day? Sign up to become a Fundraiser for us. This link will let you set up a page with your own message that you can send to friends & colleagues to donate. Questions? Check out the how-to pageor contact KCB at [email protected] You have the most impact on your sphere of influence! Consortium Members, please login below. The Consortium of Higher Education LGBT Resource Professionals celebrated our 20 year anniversary at Creating Change 2017 in Philadelphia. Please watch the video below to learn more our organization's history.